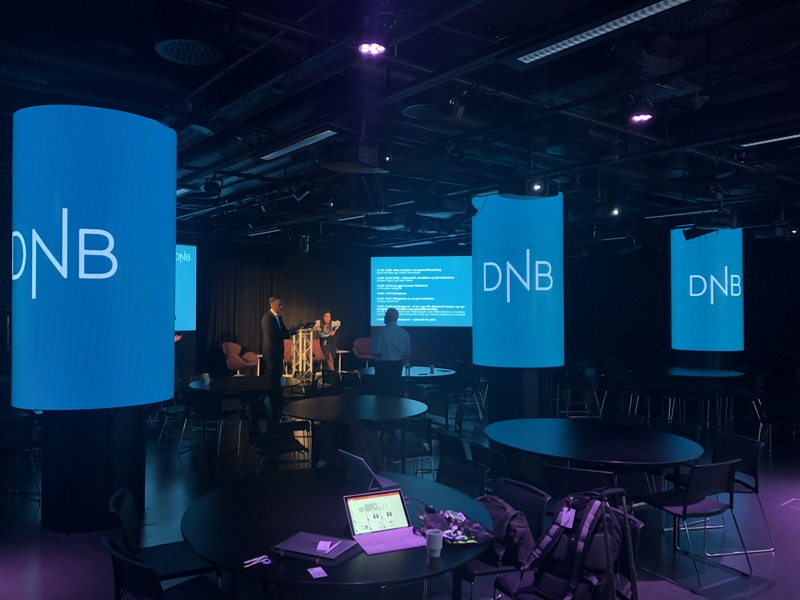 I had the pleasure of speaking at an event in Norway last week, hosted by the country’s largest financial services group, DNB. The title of the presentation was Electronic Management of Norwegian AGMs and Facilitating Remote Participation – a topic that, to be honest, I am frequently discussing given the global interest and move to Hybrid meetings. The attendees were made up of over 100 invited guests, comprising mainly Company Secretaries, Meeting Chair’s and Lawyers. The point that really struck me about this highly engaged audience, is how impressive Norway is in terms of their practical approach. The introduction of hybrid meeting technology is, arguably, the biggest development to come to the AGM market in a decade. The Norwegians have approached this in a very pragmatic fashion and agreed that this is not just the future, its the here and now - to allow shareholders who cannot physically attend to still have an opportunity to participate wherever in the country or world they may be. They have recognised that enabling remote participation for shareholders is the direction that the global AGM industry is moving towards, so they have quietly got on with updating their legislation to allow for this. The discussion has already moved on from “Why” to “How”. Throughout the presentation, and those of the other speakers, the theme of the questions was very much around implementation and it is clear that Norway organizations are ready to embrace hybrid meeting technology to expand the reach of their AGMs. In fact, Lumi has already delivered the first hybrid trial AGM for a Norwegian organization earlier this year, which was a great success. It is clear to me that there is a similar sense of desire from the UK listed businesses to enable shareholders to attend their AGMs remotely – in the way that many large member based organisations and co-operatives are already able to do. It is time that we took a leaf out of the Norwegian playbook, and it’s time to discuss implementation, facilitation and best practice. Against a backdrop of declining shareholder attendance and engagement, the need to increase the relevance and purpose of the AGM is critical, and in my view would be best served by not restricting those shareholders and investors who cannot physically attend a meeting at 11am on a Wednesday (who can!? ), and to make a meeting so much more relevant and accessible for all using this available modern day technology. If you want the opportunity to discuss implementing this, then why not join us in early December, where we are delighted to be co-hosting a breakfast event with the ICSA. Entitled ‘The Principles and Practicalities of running a hybrid AGM’, this session promises to be informative, interactive and aims to answer any queries you may have. Please email Kerry.leighton-bailey@lumiglobal.com for more details.